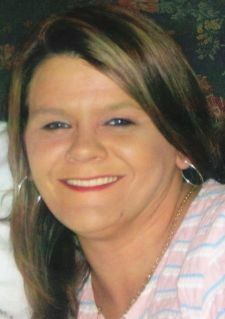 Lea Ann Wilson Murray, 44, of 1001 Bethlehem Church Road in Eden, passed away Sunday, April 14, 2019, at Forsyth Medical Center in Winston-Salem. A graveside service will be held at 2 PM on Wednesday, April 17, at Roselawn Memorial Gardens. The family will receive friends immediately following the service, at the graveside and other times at the residence. Lea Ann was born July 20, 1974 in Rockingham County, NC. She loved spending time with her children, grandchildren and friends, and she enjoyed dancing. She is survived by her husband, James L. "Jamey" Murray, Sr. of the home; two sons, Josh Wray and wife, Ashley, of Eden and Brandon Wray of Reidsville; three grandchildren, Kayleigh, Kinsley, and Levi; mother, Patricia Chilton Wilson; two step-sons, James L. Murray, Jr. and Bradlee Roy Murray, both of Eden; five step-grandchildren, James L. Murray, III, Bradlee Murray, Jr., Bentley James Murray, Savannah Murray, and Mason Murray; and sisters, Lisa Chilton, Debbie Ann Wilson, Robin Parrish and Wendy Evans. She was preceded in death by her father, Floyd "Jim" Lee Wilson. I lieu of flowers the family request for donations to be made to Fair Funeral Home to cover the cost of the funeral. Dear Murray Family. I am so sorry for your loss, may you find comfort in the words recorded in John 5:28,29 where Jehovah God through his son Jesus Christ promises to bring back our dead loved ones! Then people everywhere will be able to live as Jehovah God purposed for them to live ——- forever in perfect health. Hope this brought you comfort, for more please visit JW.org. I am so very sorry for your loss. My prayers and love is with all of you during this difficult time. May god wrap his arms around all of you and give you the strength you need to get through this. LouLou was one of the sweetest people and a very good friend. We lost touch in life as we got older but she was never forgotten and never will be. Rest In Peace my sweet friend.